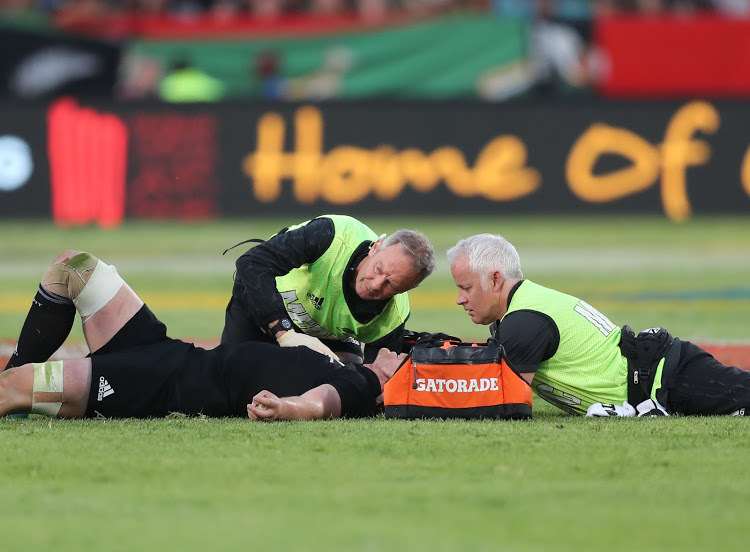 All Blacks flanker Sam Cane fractured his neck in Saturday’s Rugby Championship win over the Springboks – and looks set to be sidelines for many months. Thankfully however, the Chiefs man didn’t suffer any nerve damage, meaning he is expected to make a full recovery. Cane stayed down after an incident at a ruck in the 36th minute. The flanker collided with Springbok back-rower Francois Louw as he tried to clean him out, hitting the Boks forward in the hip area. 2/2 All Blacks Doctor Tony Page said Cane had suffered a fracture in a vertebrae but thankfully had not suffered any nerve damage. Cane will stay in South Africa for the week before flying home. Will be out of rugby for several months. After a long delay Cane got to his feet, flanked by support staff on either side – and very gingerly departed the field. We wish him all the best in his recovery.